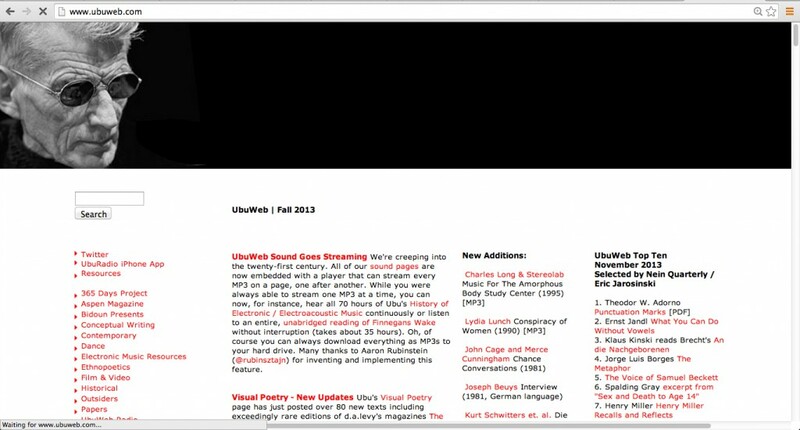 Ubuweb was founded in response to the marginal distribution of avant-garde material (cinema-art sound and mp3 files). It is an online independent platform where hundreds of films, podcasts, documents and videos can be viewed free of charge. The material is provided by filmmakers or is placed online by UBUweb, without artists’ permission. UbuWeb operates with no money thanks to the work of volunteers. Its server space and unlimited bandwidth are donated by several universities, who use the UbuWeb as a case study related to radical distribution and gift economies on the web. To give free, online access to hard-to-find, out-of-print and obscure materials about avant-garde. 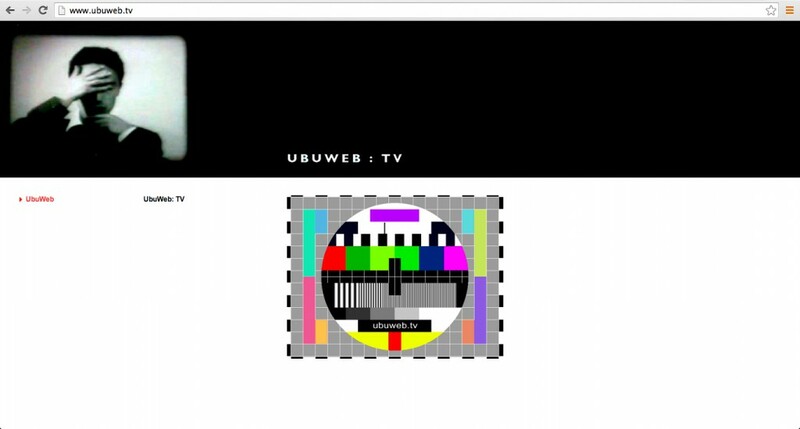 UbuWeb hosts over 7,500 artists and several thousand works of art. There are over 2500 full-length avant-garde films and videos, both streaming and downloadable, free and open to all. Ubuweb is continually being updated and keep expanding the range of materials.